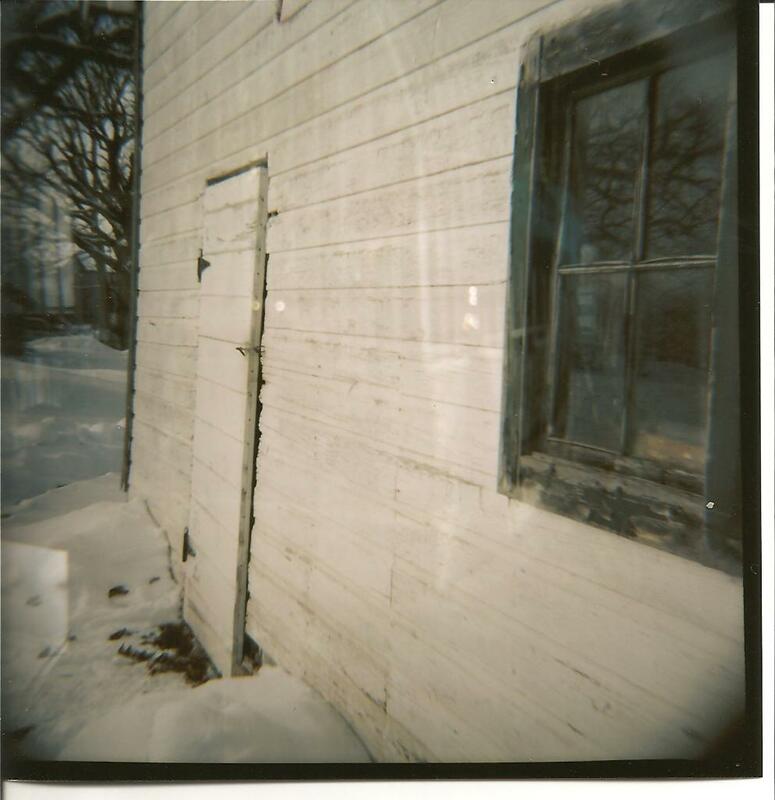 I love my newest toy – the Diana camera, a medium format camera. This little gem takes the most dreamy photographs and the effects are timeless. I had it in Iowa over Christmas and then took it to Minneapolis for a couple days. There was a steep learning curve though, expose longer than you think necessary, or use a stronger flash than what comes with the Diana. 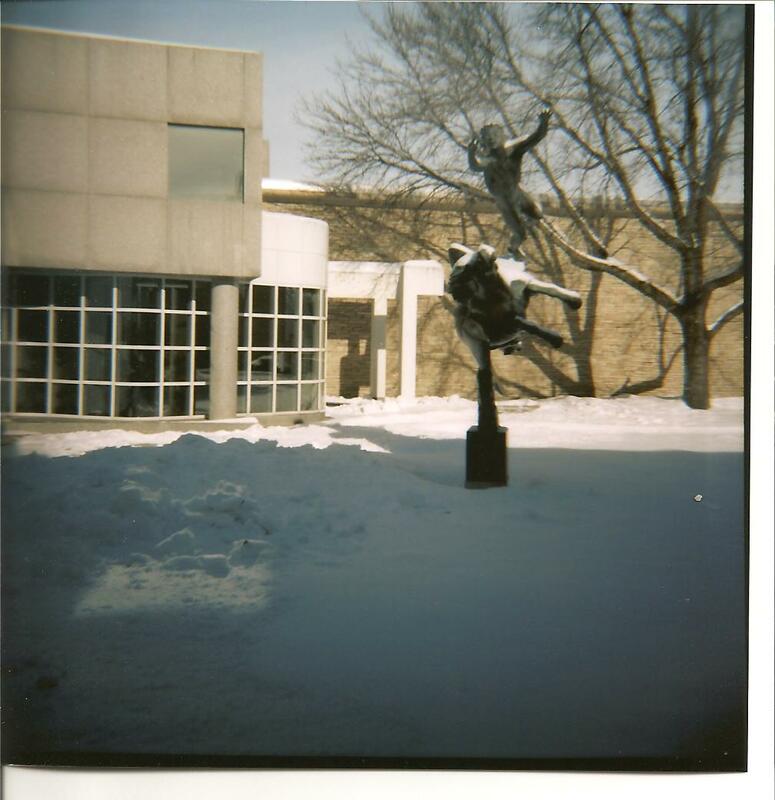 I actually ended up using the flash for my 35 mm camera and that seemed to work very well. 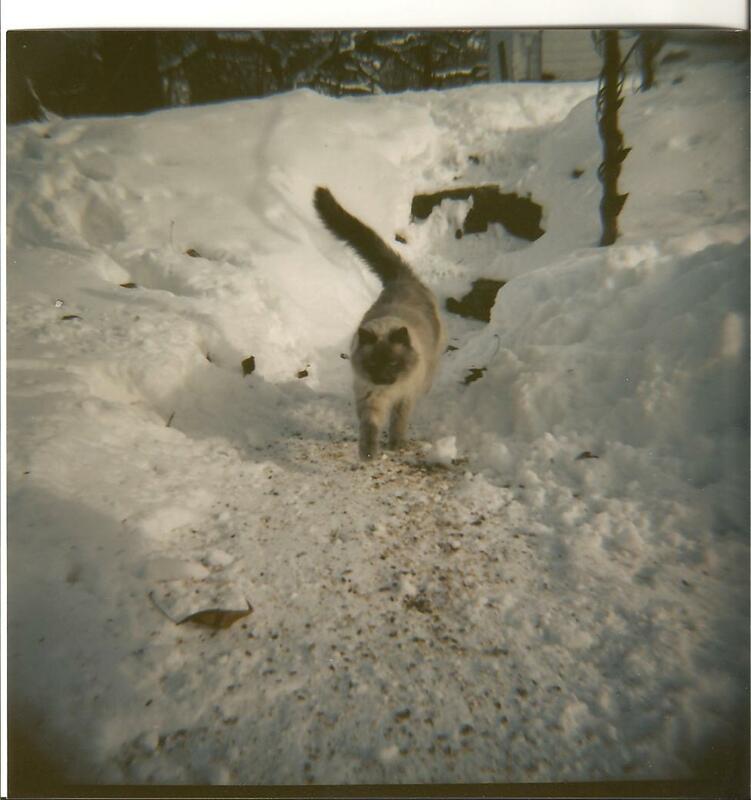 The Diana flash is fun and can change colors, but it is not very strong. I got the gear from lomography, a dangerous site that one can easily be sucked into perusing for hours on end. Here are a few of my favorite photos from the 6 or so rolls I had processed this past week. 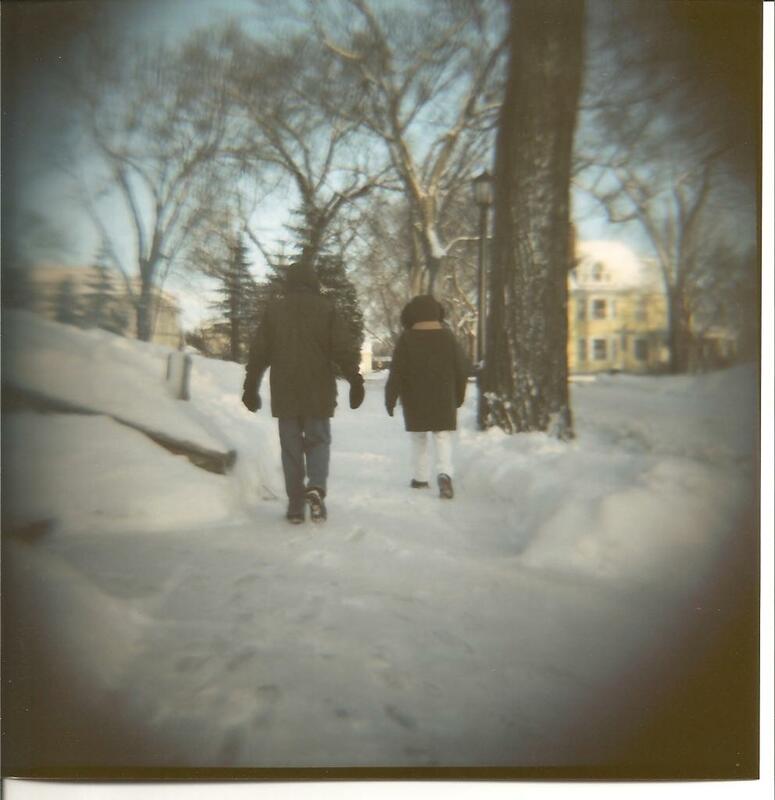 The best part about this cheap turquoise plastic camera: it has made me forget about my longing for a DSLR camera, well at least for the time being. 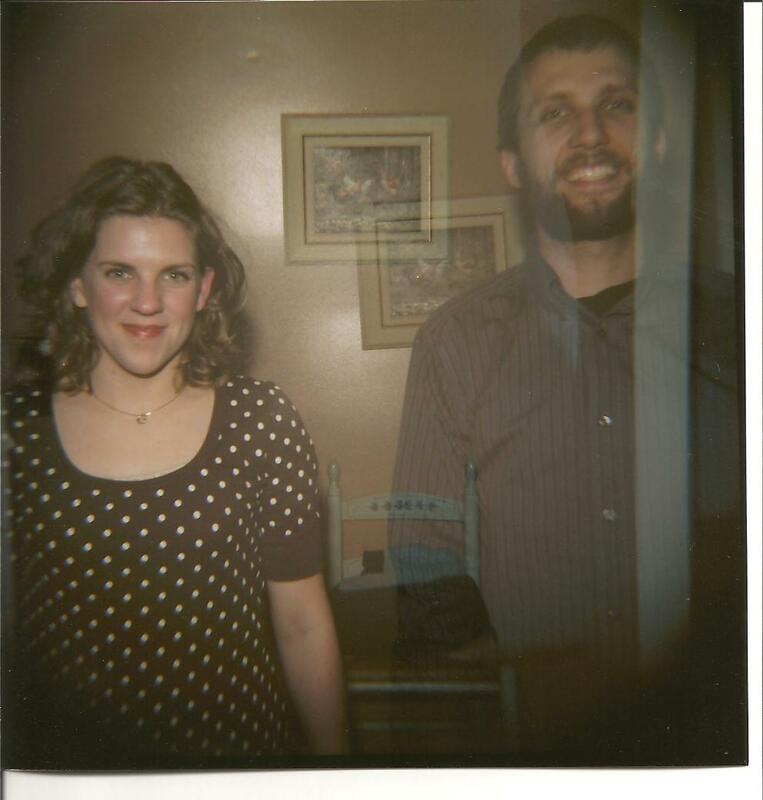 Eric and Chelsea, double exposure. 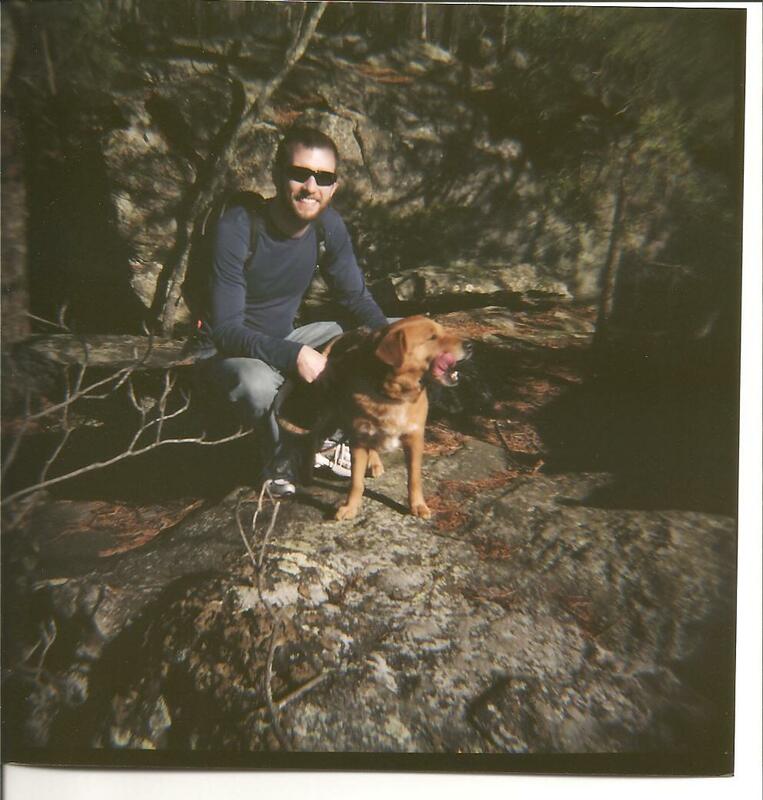 Eric and Brownie at Hanging Rock State Park. My latest Martha had a wonderful idea that I decided to try out this past weekend and with 4 days off from work I had plenty of time to catch up on reading and my crafts. I ran to the local craft store and picked up some felting needles, roving wool, and a piece of foam to work on. Martha sometimes makes things look easier than they are, but this felting project was so easy, I am thinking about how I could use it with my students! 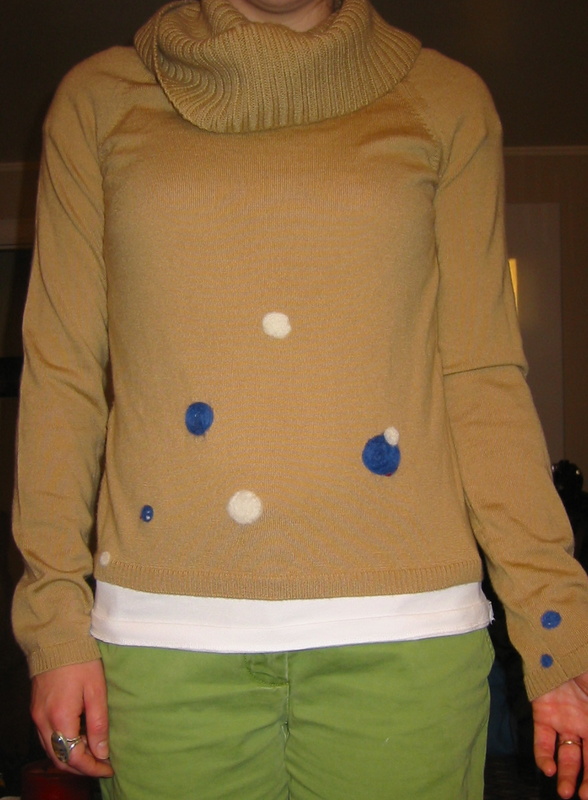 I took an old Ann Taylor sweater I had picked up at Goodwill a while back, and just started adding blue and white polka dots randomly over the sweater. I started by filling in the few small holes and then filled in with dots where it seemed necessary for aesthetic purposes. I had originally bought this sweater to use in a set of indoor bocce ball sets I was working on as Christmas gifts last year. This was also an easy and fun project to do. If you are interested in felting it is really very easy and basic. To use old sweaters, I simply wash them in the washing machine with hot water and soap. I set the rinse cycle to cold so that the shock of the temperature change will shrink the fibers more quickly. Be sure to wash like colors with like, as you will lose some of the dye. Then, I dry the sweaters on hot until they are dry to the touch. Now the sweaters are ready to be cut up. I have turned them into table center pieces, pouches for glasses, pillow cases, and beautiful sculptural spheres. The nice part about felting old sweaters is that you are reusing, don’t have to knit, and don’t even have to sew the edges to prevent fraying. The bocce set was a little more complicated. I knotted strips of felted sweater together until it was about the size that I wanted the final product to be. Then, I took lengths of loose wool (roving) and tied it around the knotted balls. I then took old athletic socks (the short ones) and put the wool balls inside the socks, twist tied them shut, and washed them as I mentioned above. I dried the balls, socks and all until they were dry. The roving shrinks and the sock keeps it all perfectly spherical. If you use two different colors of wool – the sweater one color and the roving another – you can achieve really beautiful marbled effects from the different wools. Roo, oil pastel on paper, 8×10″, 2009. Mandy’s birthday present is finally completed. 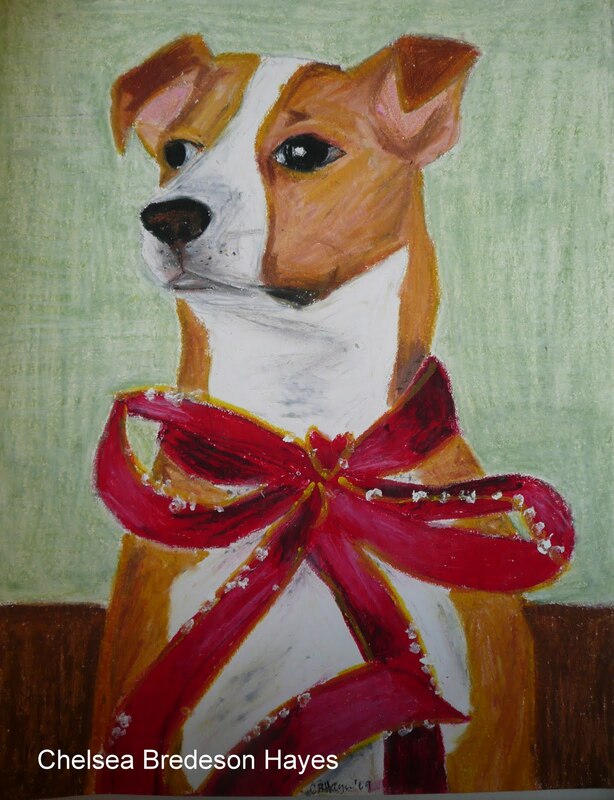 This is a drawing of her dog, Roo dressed as a present. I love this angle/pose because she looks regal. 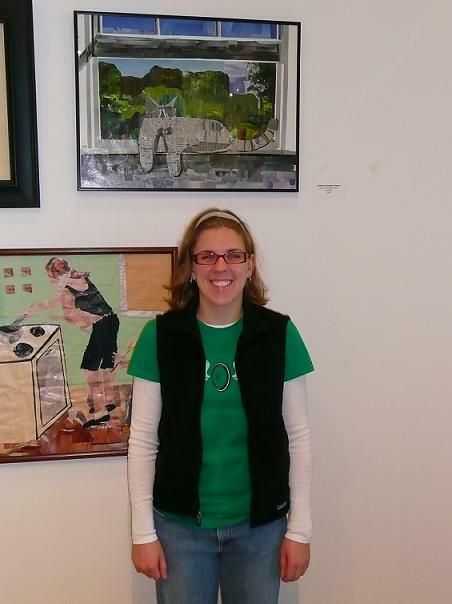 I completely forgot to post this picture of me in front of my collage at the showing I had this fall at UNCG. The gallery space was lovely and it was wonderful to see my colleague’s work. What was most interesting to me, was to see what media each of us work with. I am so used to seeing these individuals at our meetings talking about kids, grades, student work, and curriculum that I forget each is also an artist.